iris has appointed DDB creative Shuyau Cheng will join as creative group head, reporting directly into creative director Ed Cheong. At DDB, Cheng worked with clients including HSBC, Cerebos, National Library Board and Courts and held the same role. Together with Cheong and APAC creative director Grant Hunter, Cheng will be responsible for embedding iris’s Participation Brands philosophy across the agency’s creative output, and finessing creative campaigns for key clients across high engagement platforms. “Coming from a digital background, I’ve been increasingly interested in solutions that blur the lines between different disciplines, backed by ideas that closely resonate with real folks outside of the advertising bubble. I’m really looking forward to collaborating with the brave clients and talents at iris,” said Shuyau Cheng. In addition to Cheng, iris has appointed Michelle Fun as senior creative, who joins with a skill set in social and will be working across the agency’s Philips business. 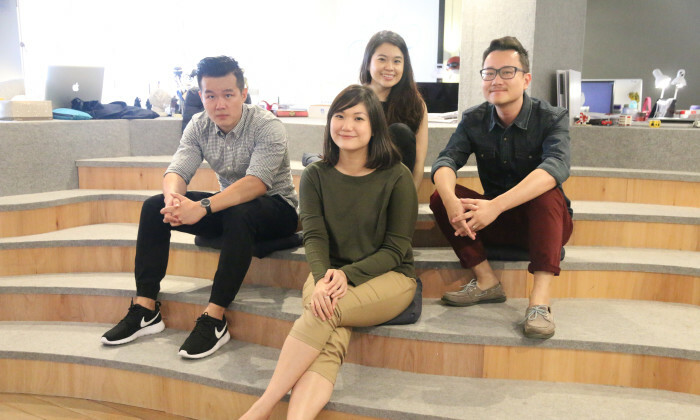 Pearlyn Ong and Royston Ang will be joining as copywriter and art director respectively. “We’re thrilled to welcome these four amigos into the iris fold. All four have distinctively different traits, quirks, and skills that will benefit our clients here. Talents aside, Shuyau and Michelle are just really, really nice folks. And if they get too “soft”, Pearlyn and Royston will undoubtedly be snapping at the heels of these seniors,” said Ed Cheong, creative director (Singapore), iris. Waggener Edstrom rebrands to WE as the agency finds solid growth from its insight, analytics and creative units. .. The new store occupies a total area of over 25,000 square feet, making it the largest single-story sporting goods store in Hong Ko..